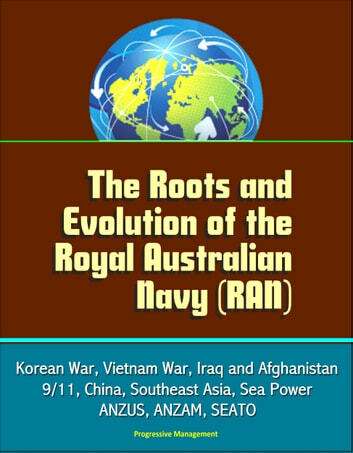 This work investigates the roots and evolution of the Royal Australian Navy (RAN) and the circumstances that have shaped Australian maritime policy since WWII. 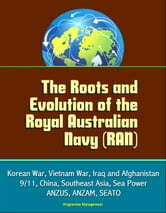 Its primary purpose is to provide present day policy experts with historical insights useful to the planning of future relationships with Australia and her Royal Navy. In essence, this topic's intent is to assist in the formulation of United States maritime policies that will achieve optimal global results through the thoughtful engagement and proper support of Southeast Asia's predominant maritime power. Subjects and topics covered include: Korean War, Vietnam War, Iraq War, Afghanistan, 9/11, War on Terror, China, Southeast Asia, SEATO, ANZUS, ANZAM, FESR, RAAF, Pacific Rim, Indian Ocean, Relations with Great Britain, Economic Exclusion Zone, Law of the Sea, Forward Defense, Naval Modernization, Sea Power Center. During the last half of the twentieth century, The Royal Australian Navy (RAN) played an increasingly important role in ensuring stability in Southeast Asia (SEA). The RAN waged war alongside the United States Navy (USN) in Korea and Vietnam and now stands with the USN in Iraq and Afghanistan. Australia's Royal Navy is a professional and proficient force, a fact that sets it apart from most of its regional neighbors. However, its forces, which are smaller in size than those of many of its neighbors, are tasked with protecting the approaches of the only continental maritime nation which is dependent on seaborne trade for its welfare and prosperity. Awareness of the circumstances and constraints faced by the RAN over the years, as well as an understanding of its efforts to maximize its capabilities during the current era of rapid global change, is essential when considering future collaborations with this valued naval ally in a service, joint or coalition role. An analysis of three sets of literature helps frame the issues that have determined the RAN's evolution and proves valuable in forecasting how the RAN will be shaped in the future. These are: (1) Australian diplomatic history; (2) Australian military history; and (3) Australian economic policy and military capacity. It is more useful to examine how these literatures flow together and interact than to discuss them individually, since each focuses more or less exclusively on the characteristics associated with its particular field of research. Economic and diplomatic histories, for example, may not mention the Navy at all, while military histories tend to gloss over diplomatic and economic events. Examining the literatures of a time period together rather than separately gives the researcher a broader and deeper view of how the events and circumstances of each field worked in concert to shape the RAN.